The Humanist Society of Greater Phoenix (HSGP) held a party to celebrate the Transit of Venus across the disc of the Sun. I won’t happen again for another 105 years. 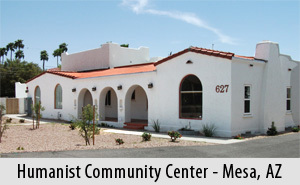 The Humanist Community Center is located at 627 W Eighth Street, Mesa Arizona. 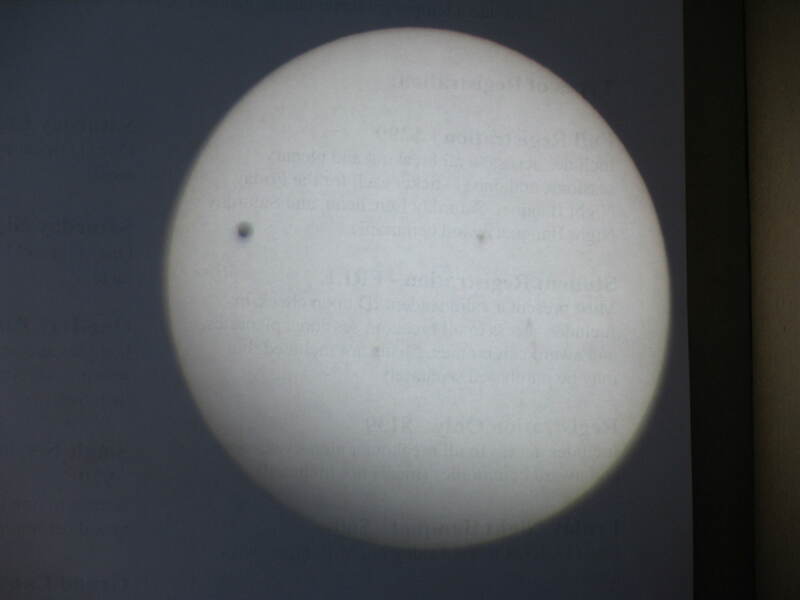 Below is the black disk of Venus crossing the Sun. 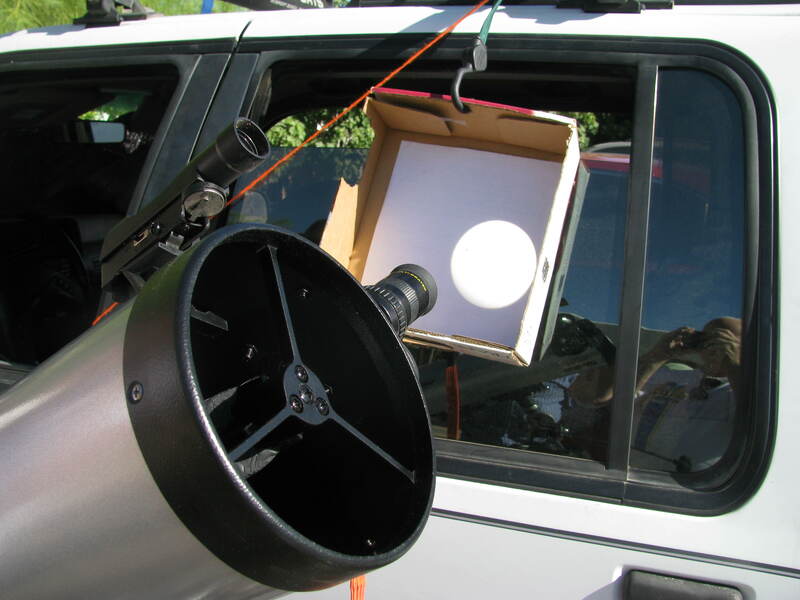 The Humanist Society of Greater Phoenix (HSGP) is hosting an astronomy event Tuesday afternoon, 5 June 2012, featuring the Transit of the Sun by Venus. The location is the Humanist Community Center (HCC) located at 627 W. 8th Street Mesa, AZ. A map of the location is here. The transit as seen in Phoenix begins a little after 3:00 PM, so arrive early at HCC. The hosts will have a variety of observation methods. 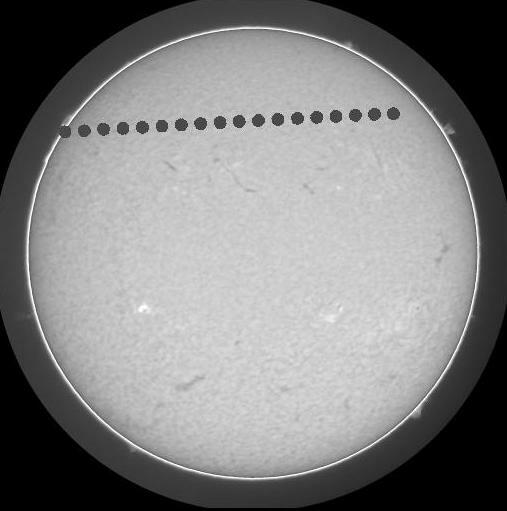 The safest way to watch a transit is to observe an image of the Sun projected onto a screen through a telescope, binoculars, pinhole or reflected pinhole. The event can be viewed without magnification using filters specifically designed for this purpose, such as an astronomical solar filter or eclipse viewing glasses coated with a vacuum-deposited layer of chromium. However, the disk of Venus is tiny compared to the sun and not much will be seen. The once-recommended method of using exposed black-and-white film as a filter is not now considered safe, as small imperfections or gaps in the film may permit harmful UV rays to pass through. Observing the Sun directly without appropriate protection can damage or destroy retinal cells, causing temporary or permanent blindness. Testing of flight software with the new flight computer on the Pegasus XL rocket has pushed the launch of NASA’s Nuclear Spectroscopic Telescope Array (NuSTAR) spacecraft beyond the March 2012 window available at the Reagan Test Site on the Kwajalein Atoll in the Marshall Islands. The next available window is within two or three months, at most, but negotiations are ongoing. 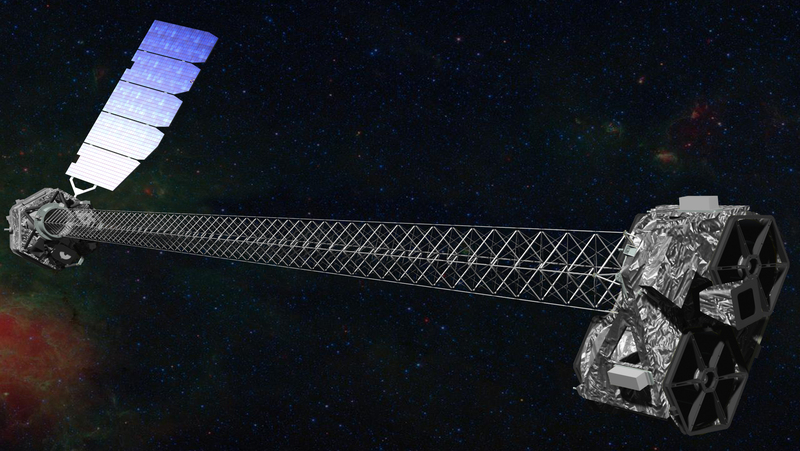 NuSTAR is designed to measure high-energy x-rays, which will allow for more detailed and sensitive study of black holes, high-speed energy jets, neutron stars and supernova remnants. NuSTAR uses advanced optics and detectors to observe some of the hottest, densest and most energetic objects in the universe. NASA has released this new image of the “Dumbbell nebula,” also known as Messier 27. 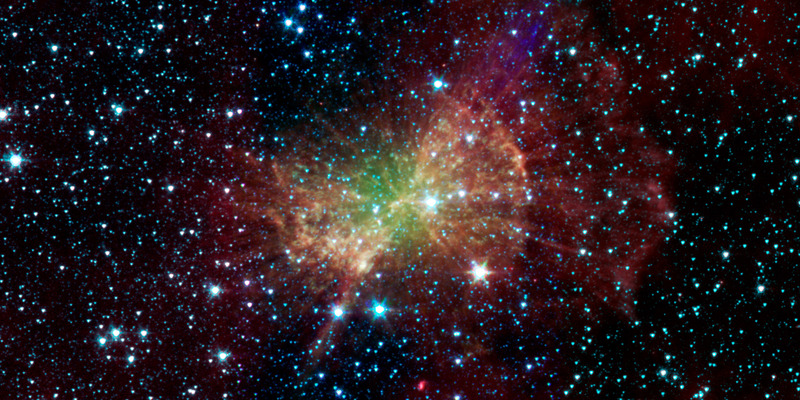 The image was taken in the Infrared by the Spitzer Space Telescope. The object was discovered in 1764 by Charles Messier. It was the 27th object he named in his catalog of nebulous objects. The Dumbbell nebula is located in the constellation Vulpecula, which is about 1,360light years away from Earth. The gaseous debris from the dying star is spread across 4.5 light years of space. The white dwarf at the center of the nebula was a sun-like star. After a lifetime of 9-10 billion years, it bloats and expels much of its material, now containing carbon, nitrogen, oxygen, silicon and other heavy elements, into interstellar space. These elements are recycled in the next generation of stars and planets. The diffuse green glow, which is brightest near the center, is probably from hot gas atoms being heated by the ultraviolet light from the central white dwarf. Come see the winter sky! Take our Astronomy Quiz! View exciting celestial objects through our telescopes! Learn about rocks with the GEO Club! Want to see a rock from Space? Stop by the meteorite table! View our out-of-this-world poster display! Have a question about the universe? Ask an Astronomer! For information about the moon, stop by the LROC table! This is the story of two spacecraft, three comets and four rendezvous. So, keep your eye on the moving targets at all times. Comet 81P Wild 2 (c#1) was visited (r#1) by the Stardust mission (s#1) in 2004 (it was launched in 1999), and sent its sample canister containing the comet bits back to Earth in 2006. The mission returned samples of the comet’s tail. Comet 9P Tempel 1 (c#2) was impacted (r#2) on 4 July 2005 by NASA’s Deep Impact mission (s#2). Deep Impact was re-purposed for the 103P Hartley 2 (c#3) rendezvous (r#3), which took place on 4 November 2010. Now, the Stardust spacecraft (comet Wild 2) is set to rendezvous (r#4) with comet Tempel 1 (spacecraft Deep Impact) on Valentine’s Day 14 February 2011. And that is how you do cometary science on the cheap and with low risk. In 2005, Tempel 1 made its closest approach to the sun. This likely changed the surface of the comet. Now, scientists will get a chance to re-image the surface of the comet with Stardust and compare the images with those taken by Deep Impact five years ago. The International Space Station Transits the Sun during December’s Solstice Eclipse. Mike is inviting all his spacey friends to a movie night at his home in Gilbert next Saturday evening, November 10. We’ll watch the 2017 movie “Salyut 7”, a pseudo-documentary about the resuscitation of the Soviet space station. It’s a two-hour movie, so we’ll kick it off around 7:30 pm. Mikes lives near US60 and Stapley, and please contact him if you plan to attend. Should be a fun evening. November: Out reach at Library Con. is Cancelled. Library Con will not be hosting an event this year. November: VR for good service opportunity, cancelled due to sufficient staff was already obtained. Enter your email address to subscribe to NSS Phoenix and receive notifications of new posts by email.